So Who the heck Is Michelle Ward? I started my first business, a music instruction studio, the last semester of my graduate degree over 12 years ago. It was the areas first independent music studio. 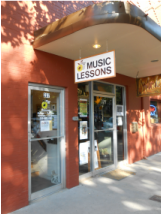 Stop by for a virtual visit at Moscow Music Academy. Four years ago I attended a special weekend seminar for small music and dance studios that was a REAL eye-opener. While I don't have a formal business degree, I discovered I had been doing a number of good things that were making it successful. I also learned that I was missing a key ingredient -- Marketing, that would help me grow my studio even more and reach our ideal customers. 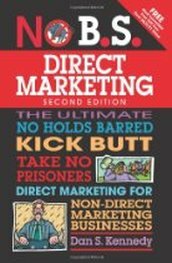 Like so many self-made entrepreneurs, I confused marketing with advertising and had a pretty bare-bones, labor intensive "advertising" campaign because I hadn't seen the results I had thought I would using traditional advertising methods. What I learned about marketing that weekend only scratched the surface but I knew that the key for my studios continued growth and success lay in learning to promote it in a way that attracted more of our ideal students and parents. My first stop was an online course of Michael Gerber's. His book, "The E-Myth Revisited: Why Most Small Businesses Fail and What to Do About It" was required reading for the seminar. In fact, much of the seminar was based on the books content. It was that course that introduced me to the incredible world of internet marketing and the home business industry. As a teacher and mentor, I know that one of my strengths is explaining complicated ideas in a way that others can understand and learn to use quickly, easily, and successfully while skipping those fateful "short-cuts" that actually create bigger obstacles, frustration and more work down the road. I approached learning internet marketing and building my music school and home business with the same philosophy. I found and learned from people that understand and know the industry well, who were able to help me fast track my success with simple and effective training using the right products and resources. That has been the key to my success as an online entrepreneur. Now it is my turn to "pay it forward". Tap into these resources and start creating (or revitalize) YOUR successful enterprise. Bookmark this site and check back for new tools, tips and strategies. **SPECIAL NOTE FROM ME: I thought it might be a good idea to say a few words about that often used (and abused) word "easy". If you've read About Me, you'll know that I'm a firm believer in the "Art of Ease", that is, finding effective, to-the-point, uncomplicated, ways to do something successfully. So when I use that term in my promotions please understand that this is what I mean. I will never imply that learning to use proven business-growing methods are void of "effort". So with that said, off you go! I wish you every success in your ventures. One of my friendly instructors breaking down the steps to learning a new song. I am a gal of many skills.